The Los Angeles County Jail, California is one of the largest county jail systems in the United States. This comes as no surprise, given that Los Angeles County, with a population of over 10 million, is the largest county in the United States, by population. In fact, it’s population is almost double that of the next-most-populated county in the country. To handle the criminal justice needs of such a large population, the county has several jail facilities. The list of Los Angeles County jails is: the Century Regional Detention Center, the Men’s Central Jail, the Inmate Reception Center, the North County Correctional Facility, the North Facility- Pitchess Detention Center, the South Facility- Pitchess Detention Center, the PDC Inmate Firefighters, and the Twin Towers Correctional Facility at the LA CO Medical Center. Each location has its own Los Angeles County Jail contact info. Therefore, when you are looking for Los Angeles County Jail information, it is helpful to know the facility where the person is incarcerated. You can ask an inmate for their location or you can find this information using the Los Angeles County jail search tool. An inmate’s location may change throughout their stay at the LA County Jail; for example, an inmate’s Los Angeles County Jail booking information will probably differ from where an inmate must stay pre-trial, because LA County has a centralized booking process. When inmates are booked, they are processed through the system, which includes property documentation, Los Angeles County Jail mugshots or booking photos, and being held for arraignment. Post-arraignment, a defendant may be placed in another location. While can be difficult for inmates and families, the LA County Jail tries to take inmate safety into account, with the goal of reducing or eliminating Los Angeles County Jail murders, assaults, and sexual assaults. It is also important for them to manage inmates because of the Los Angeles County Jail gangs. The Los Angeles County Jail is operated by the Los Angeles County Sheriff’s Department, which operates each of the county’s jail facilities. You need the inmate’s location, which you can find using the Los Angeles County Jail Inmate Search tool at the Los Angeles County Jail Inmate Information page, in order to find the Los Angeles County Jail address for that facility. There is no central Los Angeles County Jail phone number; however, there is a Los Angeles County jail number for inmate information for all inmates not in the Twin Towers Facility. That number is (213) 473-6100; you can also find information about how to obtain Los Angeles County jail records at that number. Facilities will be gender-segregated. At this site, you can find out Los Angeles County Jail for men inmate information and Los Angeles County Jail for women inmate information. If you cannot find an inmate in the Los Angeles County Jail inmate lookup tool, it could be because the inmate is actually in a city or state facility. The LA County jail system only holds Los Angeles County jail inmates. The city of Los Angeles has its own Los Angeles County city jail facilities. If an inmate was arrested by the LAPD or Los Angeles Police Department, then he or she is probably being detained in a Los Angeles City Jail. In fact, every municipality in the county can maintain city jails in Los Angeles County. Therefore, to determine who is in jail in Los Angeles County, CA you may need to search multiple systems. That is why it is helpful to know who arrested a defendant to determine which jail in Los Angeles county would process the defendant. It can also be helpful to know the jail’s location if a defendant is already incarcerated; is it an East Los Angeles County Jail or a West Los Angeles County Jail? Using the Los Angeles county jail inmate locator to determine an inmate’s location is important because location determines a number of factors. For example, Los Angeles County Jail visiting hours vary from jail to jail, though visitation rules for general populations are consistent across facilities. In addition, Los Angeles County jail jobs vary from facility to facility; there is even a specialized facility that allows some inmates to train as firefighters. Because it is the largest county jail system in the country, the history of the Los Angeles County Jail system is immense. The Los Angeles County Jail System provides some basic information about many of the facilities. However, if you enter Los Angeles County Jail in Wikipedia, you find a number of articles with fascinating information, such as Los Angeles County Jail past inmates and the Los Angeles County Jail population. This information can supplement the county’s official history. The Los Angeles County Sheriff’s Department is your first stop for Los Angeles County Jail Information. 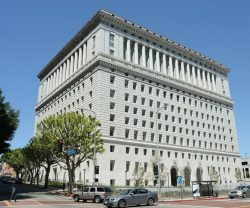 While the Sheriff’s Department main headquarters does not contain a jail facility, it does manage all of Los Angeles County Jail facilities and the Los Angeles county jail roster. From the LA County Sheriff’s Department website, you can find: a Los Angeles County Jail locator, information on how to run a Los Angeles County jail search, how to run an inmate search in California if your inmates is not in the LA County system, Los Angeles County Jail map, contact information for the Los Angeles County jail information center, Los Angeles County Jail hours, information about funding commissary accounts and Los Angeles County Jail phone calls, Los Angeles County Jail booking information, Los Angeles County jail jobs, and Los Angeles County jail visiting hours. The Sheriff’s Department does not maintain online Los Angeles County Jail mugshots. At the Sheriff’s Department website, you can find links to each individual location; there is no centralized Los Angeles County Jail com location. You can also find history of the Los Angeles County Jail system at that page; individual jail histories are available on their pages. Current Inmates / Inmate List: The Century Regional Detention Center uses the Los Angeles County Sheriff Department’s Inmate Information Center to provide information about individuals being held in custody. This is a free Los Angeles County Jail inmate locator service. Los Angeles County Jail, California Inmate Search: The Century Regional Detention Center location of the Los Angeles County Correctional Facility uses the Los Angeles County Sheriff Department’s Inmate Information Center to provide information about individuals being held in custody. Jail Records / Arrest Records: The Century Regional Detention Center of the Los Angeles County Correctional Facility uses the Los Angeles County Sheriff Department’s Inmate Information Center to provide information about Los Angeles County Jail arrest record. In addition, the LA County Jail uses VINELink to notify crime victims about the release of offenders. For detailed reports, you can order them from the LA County Sheriff’s Department Records and Identification Bureau. You can also search for arrest records online via a third-party provider. Los Angeles County Mugshots, CA: Los Angeles County Jail booking photos are not available in an online mugshot database. Visit the Century Regional Detention Center (Visitation Information): Visitation hours for the Century Regional Detention Center are Saturday and Sunday, 7:30AM to 5:30PM. General visitation information for the Los Angeles County Jail system is available on their visitation information page; visitors may also schedule visitation on that page. 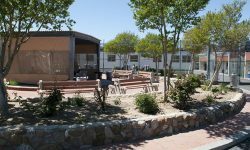 The Men’s Central Jail is the main Los Angeles County Jail in Los Angeles, CA for male offenders without any specific health needs or mental health issues. It is where you find Los Angeles County central jail inmates. To determine if an inmate is located at the MCJ, you can use the Los Angeles County Jails inmate locator tool. Current Inmates / Inmate List: The Men’s Central Jail uses the Los Angeles County Sheriff Department’s Inmate Information Center to provide information about individuals being held in custody. This is a free online Los Angeles County Jail inmate locator. Los Angeles County Jail, California Inmate Search: The Men’s Central Jail location of the Los Angeles County Correctional Facility uses the Los Angeles County Sheriff Department’s Inmate Information Center to provide Los Angeles County Jail inmate search CA. It is the main Los Angeles County Jail lookup tool; inmates not found using that tool may have been recently processed or may be in a municipal or state facility. Jail Records / Arrest Records: The Men’s Central Jail of the Los Angeles County Correctional Facility uses the Los Angeles County Sheriff Department’s Inmate Information Center to provide Los Angeles County jail inmate info. In addition, the LA County Jail uses VINELink to notify crime victims about the release of offenders. For detailed reports, you can order them from the LA County Sheriff’s Department Records and Identification Bureau. Not all Los Angeles County Jail records are free; there is a fee associated with some records requests. You can also search for arrest records online via a third-party provider. Los Angeles County Mugshots, CA: The Los Angeles County Jail does not maintain an online mugshot database. Visit the Men’s Central Jail (Visitation Information): Visitation should be scheduled in advance for the Men’s Central Jail; the online system will let you know which hours are available. 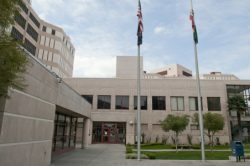 General visitation information for the Los Angeles County Jail system is available on their visitation information page; visitors may also schedule visitation on that page. 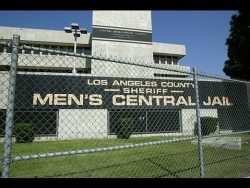 The Inmate Reception Center is Los Angeles County Jail central booking for male inmates. It processes Los Angeles County jails inmate information in order to determine the appropriate pre-trial or post-conviction placement of the inmate. While at this location, Los Angeles County jail visiting may not function as smoothly as at other Los Angeles County jails, because the staff has to make determinations about an inmate’s safety, mental health, and eligibility for visitation. Once processed and placed in one of the permanent Los Angeles County Jail locations, and inmate should have additional freedoms and access to services that may not be available in the Inmate Reception Center. The Los Angeles County Jail website contains an overview of the possible services available for inmates. If you have questions about a particular inmate’s disposition, you can use the Los Angeles County Jail inmate info number to find out an inmate’s current location and information such as that inmate’s Los Angeles County Jail mailing address. Current Inmates / Inmate List: The Inmate Reception Center uses the Los Angeles County Sheriff Department’s Inmate Information Center to provide information about individuals being held in custody, including the inmate’s Los Angeles County Jail inmate mailing address information. Los Angeles County Jail, California Inmate Search: The Inmate Reception Center location of the Los Angeles County Correctional Facility uses the Los Angeles County Sheriff Department’s Inmate Information Center to provide information about individuals being held in custody. Jail Records / Arrest Records: The Inmate Reception Center of the Los Angeles County Correctional Facility uses the Los Angeles County Sheriff Department’s Inmate Information Center to provide information about individuals being held in custody or who have been held in custody. In addition, the LA County Jail uses VINELink to notify crime victims about the release of offenders. For detailed reports, you can order them from the LA County Sheriff’s Department Records and Identification Bureau. You can also search for arrest records online via a third-party provider. Visit the Inmate Reception Center (Visitation Information): Visitation should be scheduled in advance for the Inmate Reception Center; the online system will let you know which hours are available. General visitation information for the Los Angeles County Jail system is available on their visitation information page; visitors may also schedule visitation on that page. Current Inmates / Inmate List: The North County Correctional Facility uses the Los Angeles County Sheriff Department’s Inmate Information Center, which is a jail search Los Angeles County tool, to provide information about individuals being held in custody. The tool searches all inmates and can be used for Los Angeles County female inmate search and Los Angeles County male inmate search. Los Angeles County Jail, California Inmate Search: The North County Correctional Facility location of the Los Angeles County Correctional Facility uses the Los Angeles County Sheriff Department’s Inmate Information Center, which searches the roster of Los Angeles CA County Jail inmates, to provide information about individuals being held in custody. Jail Records / Arrest Records: The North County Correctional Facility of the Los Angeles County Correctional Facility uses the Los Angeles County Sheriff Department’s Inmate Information Center to provide information about individuals being held in custody or who have been held in custody. In addition, the LA County Jail uses VINELink to notify crime victims about the release of offenders. For detailed reports, you can order them from the LA County Sheriff’s Department Records and Identification Bureau. You can also search for arrest records online via a third-party provider. 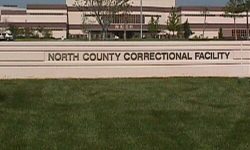 Visit the North County Correctional Facility (Visitation Information): Visitation should be scheduled in advance for the North County Correctional Facility; the online system will let you know which hours are available. General visitation information for the Los Angeles County Jail system is available on their visitation information page; visitors may also schedule visitation on that page. Current Inmates / Inmate List: The North Facility-Pitchess Detention Center uses the Los Angeles County Sheriff Department’s Inmate Information Center to provide information about individuals being held in custody. Los Angeles County Jail, California Inmate Search: The North Facility-Pitchess Detention Center location of the Los Angeles County Correctional Facility uses the Los Angeles County Sheriff Department’s Inmate Information Center to provide information about individuals being held in custody. Jail Records / Arrest Records: The North Facility-Pitchess Detention Center of the Los Angeles County Correctional Facility uses the Los Angeles County Sheriff Department’s Inmate Information Center to provide information about individuals being held in custody or who have been held in custody. In addition, the LA County Jail uses VINELink to notify crime victims about the release of offenders. For detailed reports, you can order them from the LA County Sheriff’s Department Records and Identification Bureau. You can also search for arrest records online via a third-party provider. Visit the North Facility-Pitchess Detention Center (Visitation Information): Visitation should be scheduled in advance for the North Facility-Pitchess Detention Center; the online system will let you know which hours are available. General visitation information for the Los Angeles County Jail system is available on their visitation information page; visitors may also schedule visitation on that page. Current Inmates / Inmate List: The South Facility-Pitchess Detention Center uses the Los Angeles County Sheriff Department’s Inmate Information Center, which contains a free online Los Angeles County Jail inmate locator tool, to provide information about individuals being held in custody. Los Angeles County Jail, California Inmate Search: The South Facility-Pitchess Detention Center location of the Los Angeles County Correctional Facility uses the Los Angeles County Sheriff Department’s Inmate Information Center to provide information about individuals being held in custody. Jail Records / Arrest Records: The South Facility-Pitchess Detention Center of the Los Angeles County Correctional Facility uses the Los Angeles County Sheriff Department’s Inmate Information Center to provide information about Los Angeles County Jail arrests. In addition, the LA County Jail uses VINELink to notify crime victims about the release of offenders. For detailed reports, you can order them from the LA County Sheriff’s Department Records and Identification Bureau. Visit the South Facility-Pitchess Detention Center (Visitation Information): Visitation should be scheduled in advance for the South Facility-Pitchess Detention Center; the online system will let you know which hours are available. General visitation information for the Los Angeles County Jail system is available on their visitation information page; visitors may also schedule visitation on that page. The Twin Towers Jail is the world’s largest jail and the nation’s largest mental health facility. The Los Angeles County Twin Towers Jail contains two towers, one a medical services building and the other the Los Angeles County Medical Center Jail Ward. Patients who need medical care that cannot be provide in regular custody are treated at the Twin Towers facility, as are patients with mental health issues that need greater supervision and treatment than can be provided in regular custody. While these inmates are on the Los Angeles County Jail inmate roster, they have a dedicated information phone number. Therefore, if you find an inmate in the Los Angeles County Jail system at the Twin Towers, use the special phone number instead of the general information line for inquiries. In addition, Los Angeles County jail visitation procedures differ at the Twin Towers facility, because some inmates may be ineligible for visitation. In the information below, you can find the Los Angeles County Jail Twin Towers address, the dedicated Los Angeles County Jail Twin Towers phone number, and links to the Los Angeles County Jail inmates locator tool so you can determine whether an inmate is at Twin Towers. Current Inmates / Inmate List: The Twin Towers Correctional Facility uses the Los Angeles County Sheriff Department’s Inmate Information Center to provide information about individuals being held in custody. 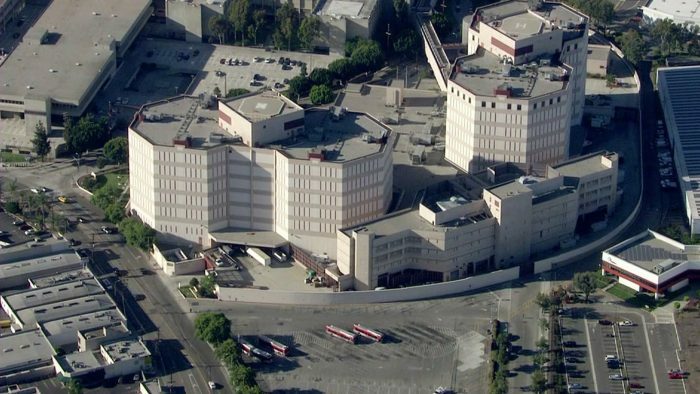 Los Angeles County Jail, California Inmate Search: The Twin Towers Correctional Facility location of the Los Angeles County Correctional Facility uses the Los Angeles County Sheriff Department’s Inmate Information Center to provide information about individuals being held in custody. Jail Records / Arrest Records: The Twin Towers Correctional Facility of the Los Angeles County Correctional Facility uses the Los Angeles County Sheriff Department’s Inmate Information Center to provide information about individuals being held in custody or who have been held in custody. In addition, the LA County Jail uses VINELink to notify crime victims about the release of offenders. For detailed reports, you can order them from the LA County Sheriff’s Department Records and Identification Bureau. Visit the Twin Towers Correctional Facility (Visitation Information): Visitation should be scheduled in advance for the Twin Towers Correctional Facility; the online system will let you know which hours are available. General visitation information for the Los Angeles County Jail system is available on their visitation information page; visitors may also schedule visitation on that page. However, because inmates at the Twin Towers Correctional Facility include those with mental illnesses, not all visitors are eligible for visitation and visitation rules may vary from general Los Angeles County jail inmate visiting rules. Contact the inmate information phone number for this facility, (213) 893-5100, with any questions. In order to post bail for a defendant, you will need to find out that defendant’s Los Angeles County jail inmates info, which will direct you to Los Angeles County Jail inmate court information. It can be difficult to decipher this information, so you may seek the assistance of a professional bail bondsmen or attorney. You can also contact the inmate information phone number with the Los Angeles County Jail inmate search booking number and ask specific questions about booking. There are a number of professional bail bonds companies in the greater Los Angeles area. We selected a few of them for your convenience. Join our Community Forums to get answers to all your prison questions. Find out more information on how to post bail online for a family member or friend. Want to receive a free-consultation from a criminal defense attorney in your area?